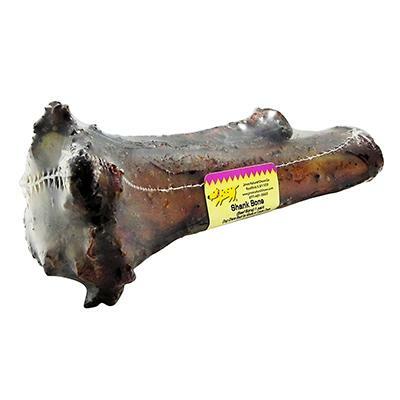 Jones shank bone is the front or back leg bone of USA sourced beef. This 100% natural product has also been dipped in natural liquid smoke and then baked, for an enticing taste and aroma your dogs will be sure to love. Tough and durable, this bone is a good option for aggressive chewers. Each shank bone is between 7 and 9-inches long and has a small amount of gristle and fat still on the bone. Appropriate for medium to large size dogs.